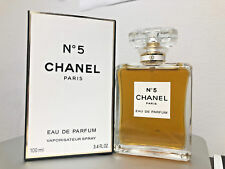 Authentic CHANEL No.5 L'eau Ltd Edition Red Bottle Eau De Toilette Spray 3.4 Oz. Chanel Coco Noir. 3.4oz Eau De Parfum. Size: 3.4oz. 100% AUTHENTIC. Our fragrances are100% authentic and fresh. Chanel No. 5. Eau De Parfum. You will recieve only the atomizer sample bottle in the picture, not the large original bottle. Size: 10ml /. 33oz. Eau De Parfum Spray. Great for storing in purse or just on the go. Small convenient pocket sized bottle. Your Chanel will be SEALED. with its unprecedented use of aldehydes, which add layers of complexity, n°5 was the world’s first abstract fragrance. the eau de parfum draws inspiration from the parfum with which it shares its floral aldehyde signature. A glass atomizer is used to preserve the quality of the fragrance. FRAGRANCE MART NY. Each sample contains authentic and undiluted fragrance. Eau De Parfum / EDP / Vaporisateur / Spray. 3.4 fl oz / 100 mL. Purchase w/Confidence, Receipts Shown! Over 800+ Sold! (1) BLEU DE CHANEL 9 ML EAU DE PARFUM SPRAY - TRAVEL ATOMIZER / DECANT SPRAY -. A glass atomizer is used to preserve the quality of the fragrance. FRAGRANCE MART NY. Each sample contains authentic and undiluted fragrance. NEW 2018! 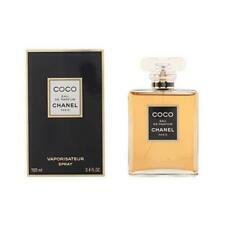 Chanel Coco Mademoiselle INTENSE EDP LARGE 2ml,5ml,10ml Sample Spray! With its unprecedented use of aldehydes, which add layers of complexity, N°5 was the world’s first abstract fragrance. The Eau de Parfum draws inspiration from the Parfum with which it shares its floral aldehyde signature. A glass atomizer is used to preserve the quality of the fragrance. Each sample contains authentic and undiluted fragrance. Purchase w/Confidence, Receipts Shown! Over 300+ Sold! 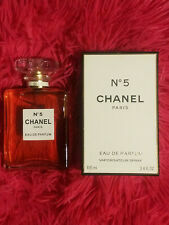 CHANEL N°5 Eau. De Parfum Spray 3.4oz/. 100 ml New in Sealed Box. 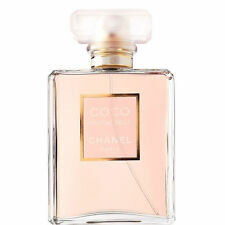 Coco Mademoiselle by Chanel 3.4 oz Eau De Parfum for Women New FREE SHIPPING!!!! 5 out of 5 stars - Coco Mademoiselle by Chanel 3.4 oz Eau De Parfum for Women New FREE SHIPPING!!!! 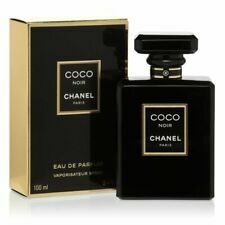 5 product ratings5 product ratings - Coco Mademoiselle by Chanel 3.4 oz Eau De Parfum for Women New FREE SHIPPING!!!! CHANEL COCO Mademoiselle 3.4oz Eau De Parfum Tester. It is a tester so it comes in a plain white box. Free shipping with USPS Priority Mail. 100% authentic. Size : 0.05 oz / 1.5 ml. Size: 0.17 oz / 5 ml. EAU DE PARFUM SPRAY SAMPLES ON CARD. (This is a promotional item and may be marked as a gift, sample or "not for sale."). Trending at $15.96eBay determines this price through a machine learned model of the product's sale prices within the last 90 days. It’s not floral, or fruity, or woodsy. but it’s natural. It’s not full of rose or sandalwood or ambergris, but it’s familiar as any grand fragrance. Best of all, it is lasting as a shadow but not overwhelming. 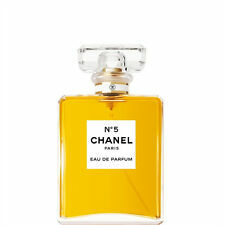 CHANEL Chance Eau Tendre. Eau de Parfum (EDP) Spray. Scent Type: Fruity Floral. Fragrance Family: Floral. 0.05 fl oz (1.5 mL) Carded Sample Vial. HOW TO APPLY. You will recieve only the atomizer sample bottle in the picture, not the large original bottle. Size: 10ml /. 33oz. 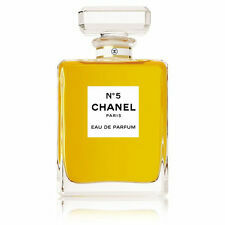 Chanel No.5. Eau De Parfum Spray. Great for storing in purse or just on the go. Small convenient pocket sized bottle. 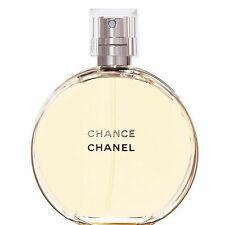 New ListingChanel Chance Eau Tendre Eau De Parfum Spray 3.4 oz. You will recieve only the atomizer sample bottle in the picture, not the large original bottle. Size: 5ml /. 17oz. Chanel No.5. Eau De Parfum Spray. Great for storing in purse or just on the go. Small convenient pocket sized bottle. TRY BEFORE YOU BUY. ·SIZE: 0.12 FL.OZ. (ROLLERBALL). Patchouli, Tonka Bean, Madagascar Vanilla, Labdanum, White Musk. ·DESIGN HOUSE: CHANEL. The 3.5 ML Eau de Parfum is decanted from this bottle. EAU DE PARFUM INTENSE SAMPLE DECANT (0.12 FL.OZ. ).